Waiting to file. When it comes to filing taxes, earlier is better, because taxpayers due for a refund can receive it early, while anyone owing money to Uncle Sam can wait to pay until April 15. 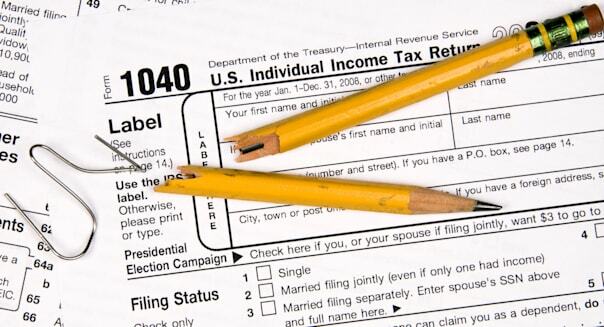 Most Americans receive refunds each year, and the average refund is just over $3,000. Employers typically send out the necessary forms (W-2s and 1099s) shortly after the start of the new year, and as soon as you have the documents you need, you can file. Filing the old-fashioned way. About 10 percent of Americans still file taxes on paper instead of electronically, according to tax expert and U.S. News contributor Barbara Weltman. That not only slows down the refund process, but it also means you can't as easily check your math, spelling and other simple errors. The cost of filing electronically shouldn't get in the way of taxpayers; due to an alliance between the IRS and tax software companies, anyone earning less than $58,000 can file electronically for free using name-brand software. Forgetting to update household status. Changing living arrangements, from new children to divorces to adult children moving back home, can have a major impact on tax filing status. Choosing the wrong filing status can lead to overpaying (or underpaying) taxes. Anyone with a complicated situation, such as sharing custody of an elderly parent with siblings, might want to check with a tax professional to make sure they claim the proper status and expenses. Deducting too many or not enough business expenses. Running your own business, even a small one, comes with expenses, many of which can be deducted from revenue generated. %VIRTUAL-article-sponsoredlinks%But tax experts say some people make the mistake of taking their deductions too far by deducting entertainment costs that aren't really business expenses, too large a portion of a home office expense or expenses from a hobby. The IRS website clearly spells out which deductions are allowed -- and which aren't. Forgetting to file all the required forms. Taxpayers must file a new form on certain amounts of foreign assets as well as report certain sales or exchanges of capital assets and money received through PayPal or similar online payment processors. Failing to do so can result in receiving a request for more information from the IRS. Failing to keep paperwork organized. Thanks to automated systems and new technology, the IRS can more easily flag taxpayers with anomalies in their filings, such as a sudden drop in income or increase in home office expenses. That makes it more important than ever for taxpayers to keep all documents, receipts and other paperwork. Going off old numbers. Tax rates, income cutoffs for certain benefits, deductions and exemptions all change almost every year. That means taxpayers can't just copy numbers from last year's form or assume certain deductions have stayed the same. Be sure to check for any credit and deduction updates. You might even consider relying on a professional's help if you have a particularly complicated situation.